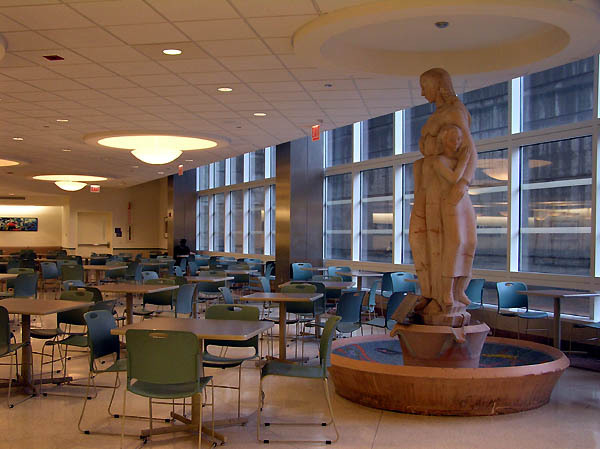 The old Cook County Building is slated for demolition. 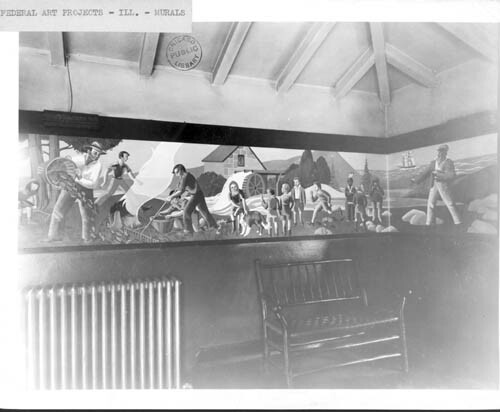 There are only a few pieces of the WPA/FAP art remaining in it (dozens have been lost). 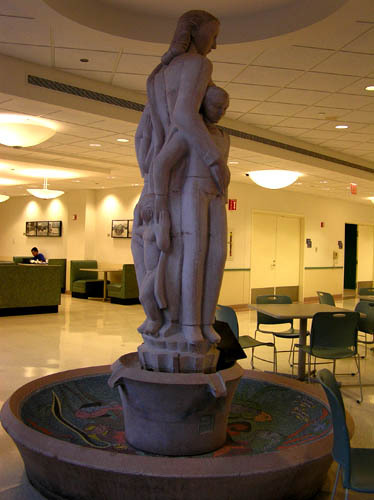 The fate of the hospital building is currently in litigation. 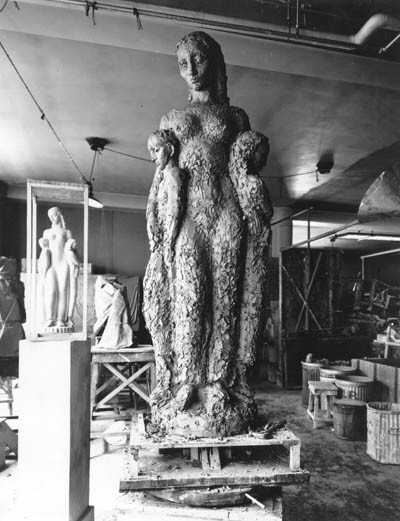 This photo of the statue in progress was taken by a WPA photographer named Bagley. 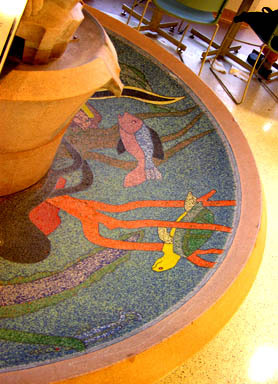 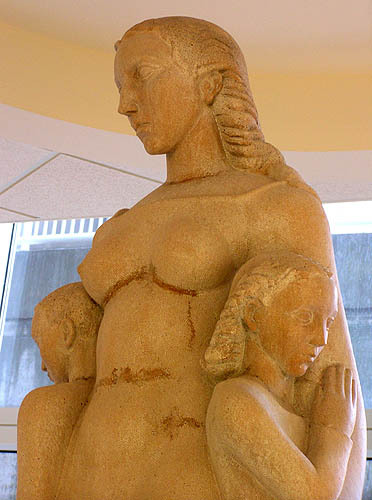 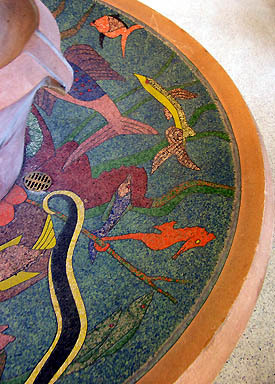 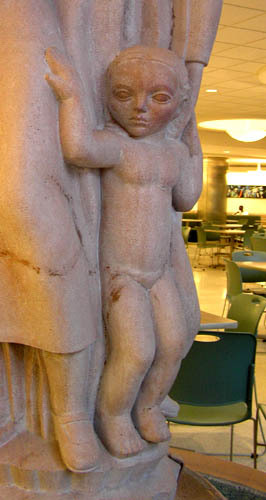 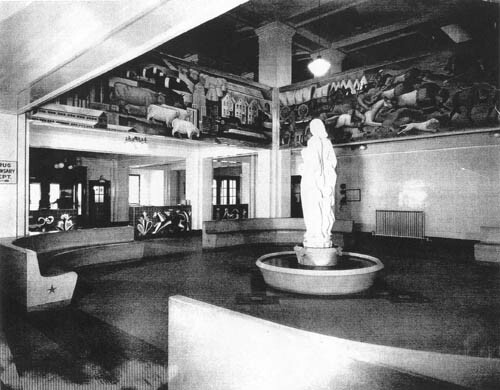 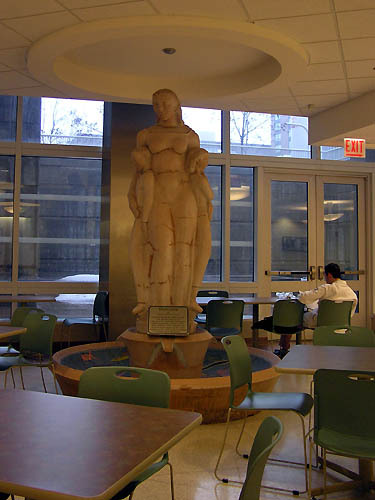 originally placed in the Cook County Hospital lobby. 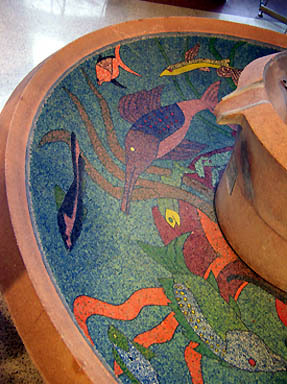 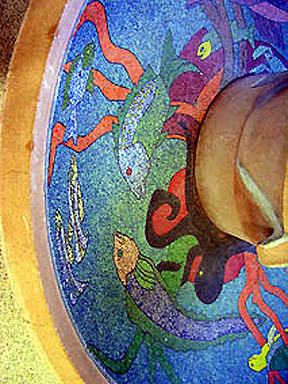 The original mosaic tile - cast stone tile basin by Charles Umlauf, 1940.